Even though more and younger people nowadays need to take daily medication, until lately very few products were able to help them carry their different pills around with them in a neat and safe fashion. 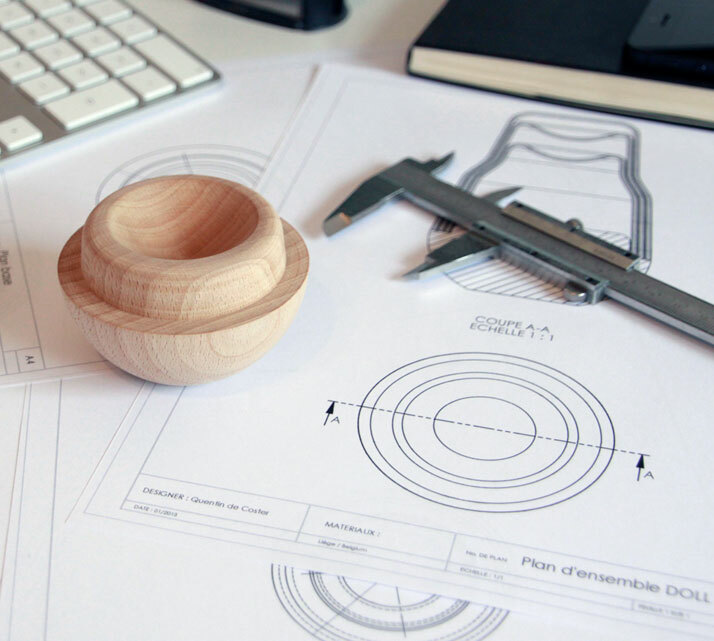 Quentin de Coster, a designer from Liège, Belgium who recently graduated from ESA Saint-Luc Liège and the Politecnico di Milano, has now dealt with this issue. 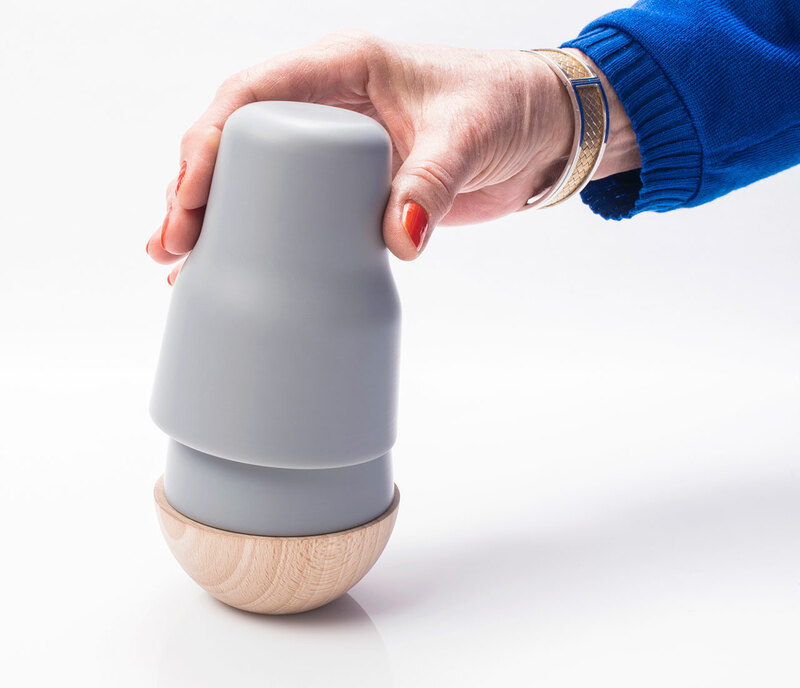 Inspired by the emblematic Russian Matryoshka DOLL, he has designed an extraordinary pill container that offers a good dose of humour alongside this otherwise depressing product. 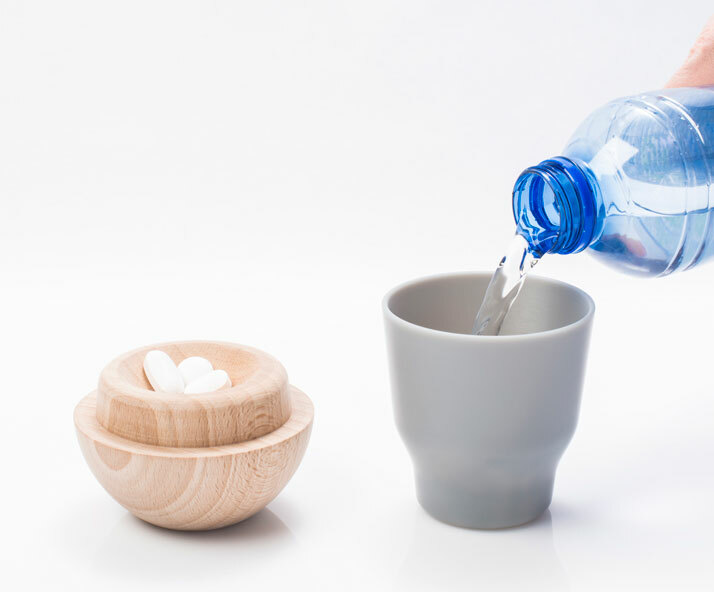 The young Belgian designer managed to deconstruct and rebuild the usually poorly designed daily pill dispensers through an innovative range of materials. 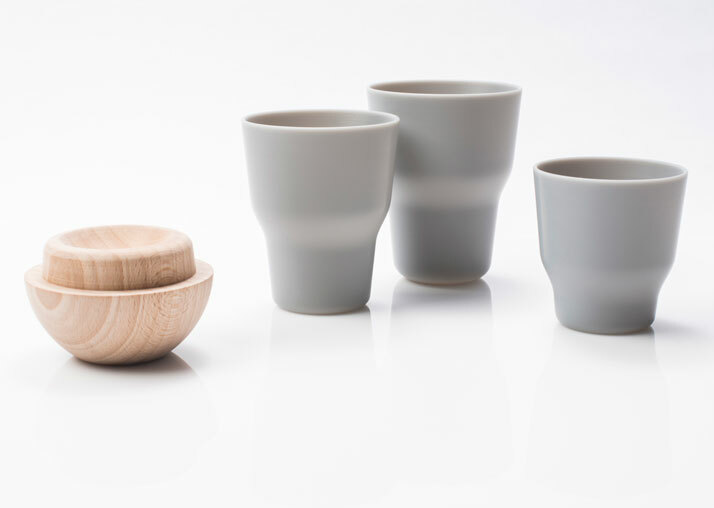 By using beech wood for the base, and 3 grey plastic cups, he ended up with a sophisticated product addressed to a wide audience, due to its highly contemporary look and innovative function together with the well thought out combination of materials. The three tumblers cover each other, leaving space in between them for the different drugs thereby keeping them clean and separated while the upcoming cups remain clean so that they can be used later. 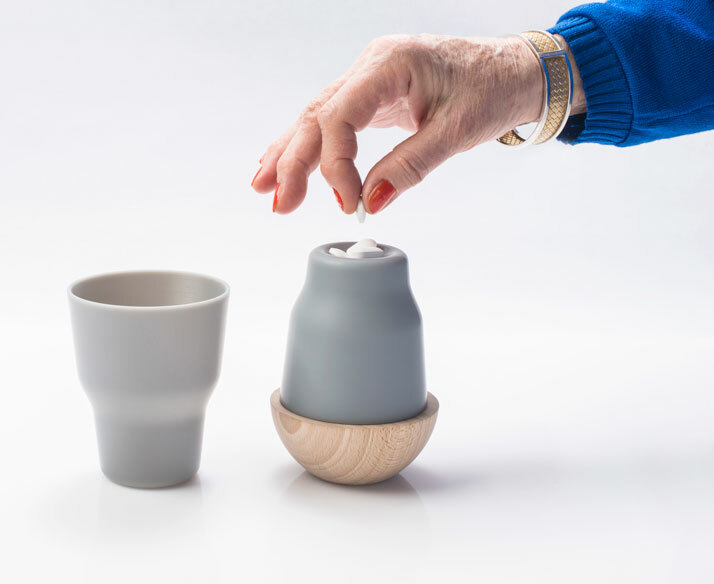 The overall look of the DOLL pill container, entirely different from the sullen character of its antecedents, introduces a fresh language for a product initially designed for the elderly but with an undoubtedly trans-generational aesthetic. 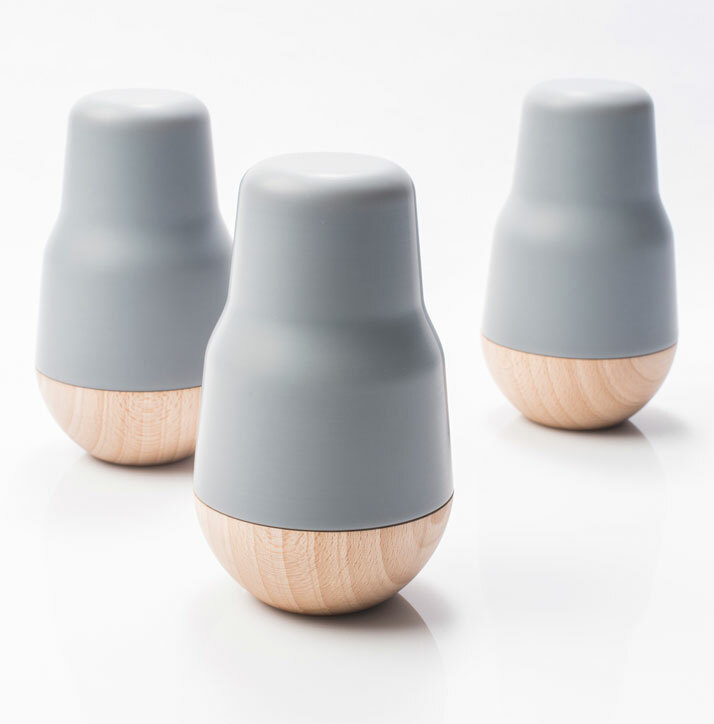 Quentin de Coster’s designs have been exhibited in International Design Triennial, Beijing and Maison & Objet, Paris. His work is now part of the Art Institute’s permanent Architecture & Design collection in Chicago.